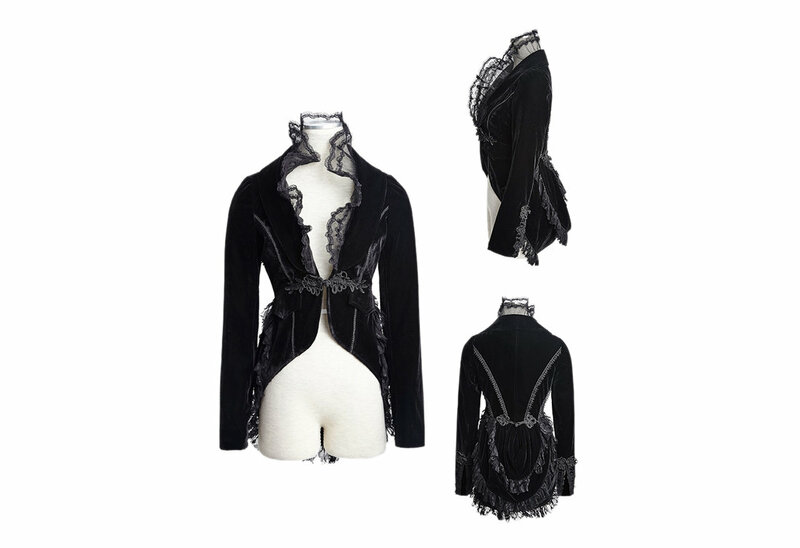 Victorian style black velveteen coat with black rose mesh, fine embroidery, lace accents and a Chinese knot closure. Long sleeves with rear bustle design. Made of 95% polyester 5% nylon. By Punk rave.